As reverse logistics is a relatively new field in supply chain management, especially in Asia, a detailed study is conducted to understand the status of companies practicing reverse logistics to support their Asia Pacific operations. This paper discusses an empirical examination of a company performing reverse logistics in Asia with Singapore being the coordination hub with the United States (US). Data on the transaction volumes and other material information are collected over a period of two years to understand the behaviour and trends of reverse logistics in this company. Statistical tools such as serial correlation, seasonality and trend analysis are performed on the data to understand their behaviour and its managerial implication. The study has shown that there is an upward trend for the return volume and how financial closing has an impact to the return volumes. In order to understand how individual companies are managing their returns especially from their business partners to end consumers, a more detailed study is needed to understand the characteristics of returns and its behaviour in terms of trends and other correlation factors. Statistically analysis can serve as a useful first step in the analysis of reverse logistics field data, for identifying patterns which may subsequently be built into the models for analysis. 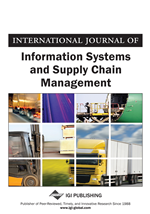 In this study, statistical analysis is performed onto XEPTRON computer products (high-end server) with their full bill-of-material (BOM) to understand and analyze the reverse logistics operations of these components. The assembly performed in China is made up of 143 components where 15% of them are make-parts and the rest are purchase-parts sourced globally. The returns transaction of these parts flowing back to the US head office from Asia has been collected over 24 months for this study. To determine if data from reverse logistics operations can be described using simple statistical techniques or methods. To determine if there exists trends, seasonality, and correlation among the return transactions. To recommend managerial actions based on the result findings. Reverse logistics can be defined as: “the process of moving a product from the point of consumption to another point for the purpose of recapturing the remaining value, or for the eventual proper disposal of the product” (Rogers & Tibben-Lembke, 1998). Figure 1 depicts the flow of products between the consumer, distribution channel and the manufacturer in reverse logistics. Reverse logistics is becoming an important aspect of supply chain management (Carter & Ellram, 1998). Survey based research on reverse logistics (Pokharal & Akshay, 2009) shows electronic industry waste causes serious damage to earth and this figure is growing in numbers with its usages. Therefore an effective reverse logistics method would substantially reduce the waste and focus the system towards reuse, remanufacture, prefabrication and redesign. Uncertainty and risk associated with the product flow in forward and reverse logistics add another facet of dimensional pressure for effective management (Lee, 2008). Many companies that previously did not devote much time or energy to the management and understanding of reverse logistics have begun to pay attention (Giuntini & Andel, 1995). Firms have begun to benchmark return operations against best-in-class operators (Stock, 1998). Third parties specializing in returns have seen the demand for their services greatly increase (Stock, 1998). As shown in Table 1, since the rate at which products are returned in the computer industry in the US can be as high as 20%, it makes sense to analyse the reverse logistics operations in this industry and model its behaviour (Tan & Kumar, 2006) in order to better understand the factors affecting reverse logistics and its operations. An implementation of reverse logistics program involves many financial and operational issues, which determine the productivity and performance of the supply chains in a long run. A critical analysis of the variables affecting reverse logistics and their mutual interactions can be a valuable source of information for the decision makers.